In North America, we live in a culture that wants more material goods for cheaper prices. Unfortunately, our materialistic desires and capitalistic operations come at a cost, and that cost is human exploitation and environmental degradation. Saving money is great, but when we are making consumer choices that are causing harm to the earth we live on and the people we share it with, then it’s time to re-evaluate our decisions. We want to encourage people to make good, ethical, and responsible choices, but recognize that doing the research is time-consuming and not always easy. For this reason, we have provided some resources, tips, and links below to help people become better informed, shop wiser, and live more responsibly. On April 24, 2013, the Rana Plaza in Bangladesh collapsed killing over 1000 garment factory workers and leaving thousands injured. The news of this event spread like wildfire across the globe and drew mass attention, perhaps for the first time, to the horrific working conditions people in the majority world are subjected to every day. Unfortunately, the Rana Plaza was not the exception when it comes to the fashion industry. All around the world people are “paying the price” for our desire for cheap fashion goods. In the past couple of decades, the fashion industry has drastically changed. We have entered into a culture of “fast fashion.” Clothing is dirt-cheap and fashion trends change so rapidly that clothing has become disposable. Think of companies like Forever 21, H & M, and Zara who have new merchandise flying onto their racks every few days. And the prices? Unbelievably cheap. An issue with fast fashion is that it’s made cheap, sold at a low price, and then easily thrown away. The problem with this is that our resources are limited and this practice is often unethical and unsustainable. We allow people to be exploited while simultaneously destroying the earth. This is unjustifiable. In 1990, approximately 50 percent of clothing worn by Americans was manufactured in America and today it is less than 2 percent. The average American creates 70 pounds of apparel waste per year. In 1999, Americans created 18.2 billion pounds of clothing waste. By 2009, that number increased to 25 billion. If this cycle continues, by 2019, this number will reach 35.4 billion pounds of apparel waste. The mindset of fast fashion is that clothing is disposable. As a result of this, landfills are being overwhelmed. Much of the clothing is not biodegradable and as it sits in landfills, the dyes and chemicals are released into the atmosphere. You might be thinking, “But I donate my clothes!” However, have you ever considered what happens to your clothes once they are donated? A huge percentage is shipped to developing nations. Countries are flooded with more clothing than they can use. The clothing is resold in these countries which has contributed to the loss of local textile industries. And the rest ends up in landfills. Perhaps what we thought was a good thing, is not so “good” after all. If our fast fashion habits are exploiting garment workers, destroying traditional textile industries, and polluting the planet, don’t you think it’s time we slow down and make some changes? It’s as simple as choosing to buy less and buy ethically. You may argue that ethically sourced products are unaffordable, and it is undeniable that ethically made clothing is more expensive, but it is not out of reach. 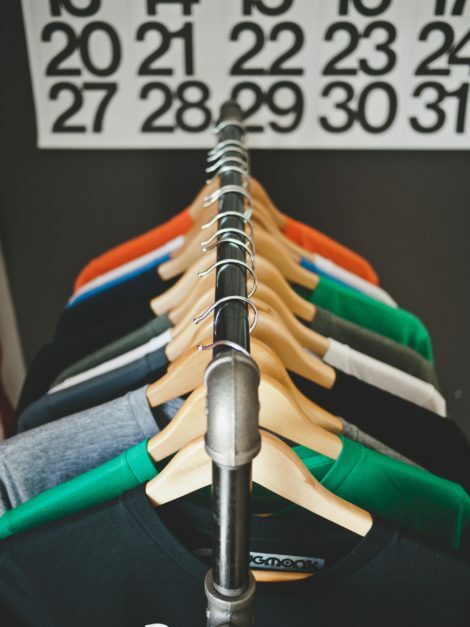 Unlike the five-dollar t-shirt you purchase at a fast fashion retailer that only survives a couple washes in the machine, the ethically sourced, thirty dollar t-shirt is probably going to last much longer because it’s quality. And quality over quantity is what it is all about. So instead of owning twenty pairs of cheap pants, why not invest in two or three pairs of timeless pants that will last you years? Buying ethically is possible, and if we want to see more companies using ethical and environmentally sustainable practices then we, the consumers, need to demand that change. If companies see people want a five dollar shirt, they are going to exploit people and the environment to do that. However, if they see people want to make responsible purchases, then they are going to make those adjustments. The bottom line is that without buyers, companies die, and so we, the consumers, have a great amount of power. The fashion industry has a long way to go, but one thing you can start doing now is supporting companies who are already using ethical and environmentally responsible practices. The Art of Simple: This website is a great resource for where to shop ethically. Here you’ll find clothing, food products, home decor, children’s toys, and so much more. 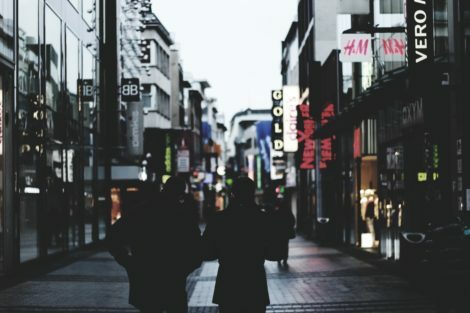 Still Being Molly: This is another great blog that can help guide you through the daunting task of shopping responsibly. On this link, Molly provides brands that are Fair Trade, ethical , and made in the USA. The JustUs Partnership is a collaboration between two organizations that are passionate about seeing lives changed through education – both in Africa, and here in Canada.